We recently saw clients that wished to discuss a purchase of a property in the Orihuela Costa area of Spain and it had not gone as expected. A joint purchase actually ended up with the property only being held in the husband’s name. They had employed a firm to act for them and when they got to the Notary to sign for the purchase of the property in joint names, they were told that there was a problem as the property fell into a military zone on this area of coastline (which can happen and is not a problem but necessitates more paperwork if one of the proposed owners is not an European ctizen). As the wife was a Non-EU resident she needed to obtain a military certificate to be a property owner. This is something that the legal firm should have checked and explained to them. The sellers of the property that they were buying were present at the Notary and said that they were not happy to wait weeks for this to be sorted out, so they were advised to do the purchase just in the husband’s name, but without being advised of the consequences and implications of this. They now need legal advice as they wish to transfer the property ownership into joint names, but it is not that simple in Spain. Changing property ownership is more complicated and expensive than in many other countries necessitating the notary, land registry and a solicitor and the options are for the husband to sell half of the property to the wife or for him to “donate” or do an inheritance to her while she is still alive. Both of these options are expensive as in this area purchase taxes are 10%, plus there are notary fees, land registry fees, solicitor fees. Also if they are non-resident 3% of the price of the share is retained at the notary to cover any possible capital gains tax on a change in the value of the share since the property was built. It will cost them thousands to put half of the property in her name and they did not realise this. The other option of a donation of half of the property from husband to wife is also expensive as there are no tax allowances in the Valencia region for gifts between husband and wife and so taxes would again be very dear, plus all the usual costs again of notary, land registry, solicitor fees etc. What are the other alternatives and options that they have? Our advice was for the husband to draw up a Spanish Will leaving at least half of the property to his wife, but this does not fully protect her as of course a Will could be changed at any time without her knowledge. Thus we also suggested that they have a simple private contract between them to protect her, and this they arranged for a solicitor to prepare this at a very modest cost. 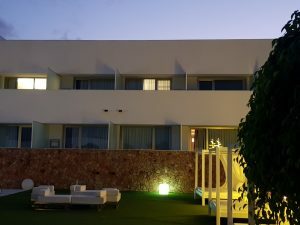 The moral of this story, however, is to ensure that you use an experienced firm to assist with the purchase of your Spanish property as otherwise problems can arise. Spanish Solutions have been dealing with the legalties of property purchase for years, have an excellent reputation and do all the checks necessary to ensure that any purchase of your home does not lead to further problems that should have been identified. We hope that you do not have any problems such as this, however if you do, as well as dealing with the legal work for a purchase we are also to sort out problems post purchase or sale. Please contact us on enquiries@spanishsolutions.net if we can assist you.